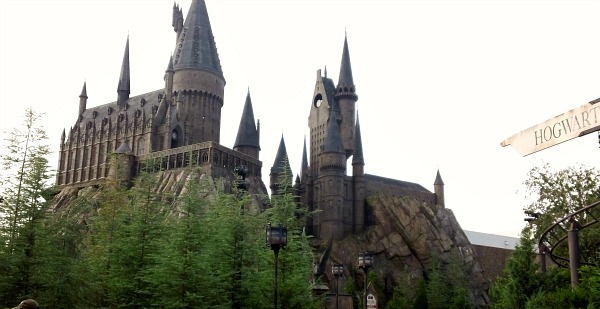 This is the newer of the Universal parks and the big attraction here for Harry Potter fans is the creation of a “Wizarding World” all about him. It’s the first place everybody heads to when they enter the park and when you arrive you’re greeted by a re-creation of Hogsmeade leading up to Hogwarts itself. Inside Hogwarts is the main ride in this part of the park which places you on a broomstick and zooms you around. The whole things is very well done and we were particularly impressed with the animations you see inside Hogwarts whilst queuing in the line. The picture gallery is brilliant, as is the appearance of Harry, Hermione and Ron from under an invisibility cloak. Another highlight was Olivander’s Wand Shop where a short show about selecting the right wand, based on the scene in the first Harry Potter movie, takes place. If the line is long, you can just enter the wand shop from the rear though and skip the show. Also in Hogsmeade is an impressive rollercoaster called The Dragon which carries you in a suspended seat and sweeps you upside down. Avoid the Butterbeer in Hogsmeade though, it costs a fortune and tastes horrific. In other parts of the park, there’s a Spiderman ride, a log flume that will soak you and a Jurassic Park water ride which is good for all the family. Call into the Jurassic Park visitors centre afterwards to see the birth of a real baby dinosaur..honestly! Our kids loved this bit of the park and even had a go at identifying a dinosaur egg. The most impressive roller coaster at the park is the Incredible Hulk (pictured above) which shoots you out of a tube before throwing you left and right all over the place (pictured above). As with most of the thrill rides at the park, you can line up separately for seats at the front….and we did! The ride is fast and vigorous, perhaps a little too vigorous in places as you come off feeling a little dizzy, but we liked it. 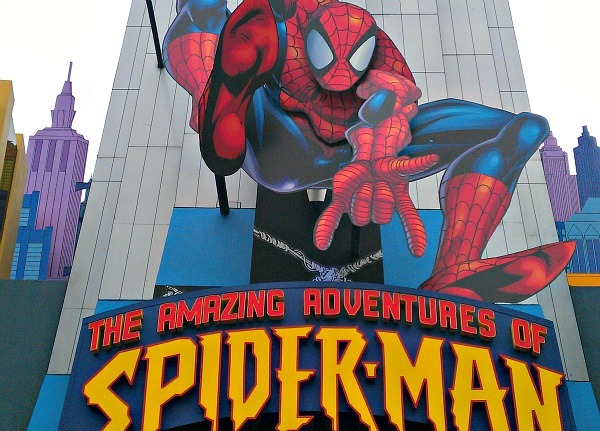 The Spiderman man ride is based around the Daily Bugle and sees you strapped inside a news ‘buggy’ which heads onto the streets of Metropolis for an encounter with spidey and some villains. It’s really well done and the 3D glasses you are given really enhance the experience. Spiderman even lands on your buggy at one point! For smaller children, the High In The Sky Seuss Trolley Train Ride is popular and takes you on a gently journey through Dr Seuss’s imagination. The best bit is where you go through a cafe and can wave at the diners below. It’s the centre piece of Seuss Landing, a garishly coloured land based around his characters. The other ride here worth doing is the Cat in The Hat. There’s also the Pteranodon Flyers in Jurassic Park which look great fun with a great view, but most of our party was too tall to go on them! The 8th Voyage of Sinbad Stunt Show is worth catching if you have the time and Dr Doom’s Fearfall was fun, but broke down while we were waiting to ride, so the 5 minute wait turned into 35 minutes…and it wasn’t worth that. 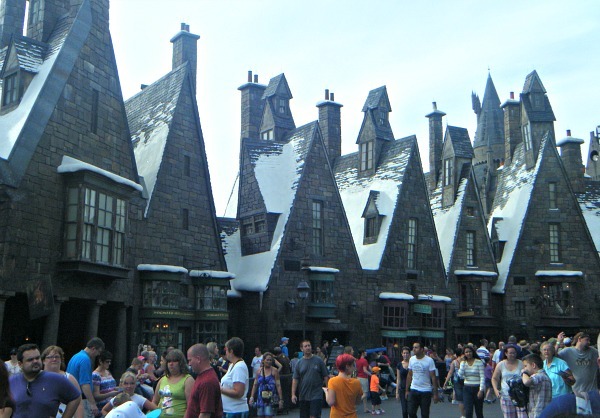 Universal Islands of Adventure has various opening hours depending on the season but is typically open daily from 9am to 7pm. There are a range of ticket options, most popular are the ones that allow access to the other park, Universal Studios Florida. See all the options and latest prices here. 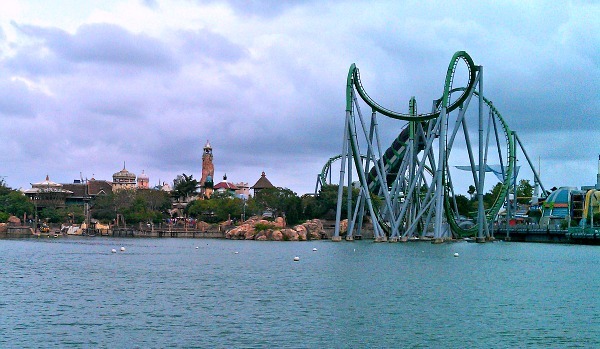 Universal Islands of Adventure is near to the I-4 and International Drive. Follow the signs to the multi-storey parking lots which are shared with Universal Studios Florida and Universal CityWalk.